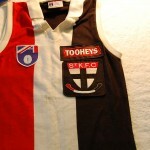 Football Jumpers .com » Blog Archive » Are Vintage Footy Jumpers Art ? 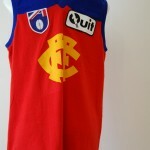 Are Vintage Footy Jumpers Art ? Yes . Artist , Jon Campbell , won prestigious Basil Sellers Art Prize , with his pop-culture collection of 22 individual paintings ,of footy nicknames . 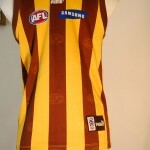 If the "Galloping Gasometer " gets a canvas surely a collection of vintage footy jumpers should get a guernsey . 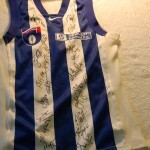 This entry was posted on Friday, August 3rd, 2012 at 2:44 pm	and is filed under AFL, football jumpers, NRL. You can follow any responses to this entry through the RSS 2.0 feed. Both comments and pings are currently closed.